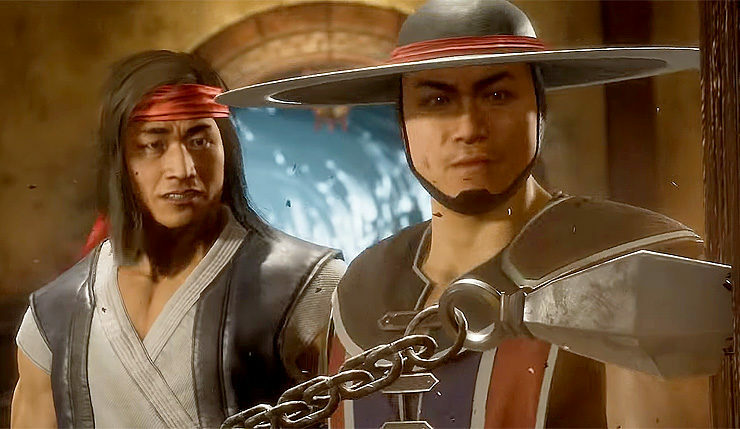 So far Mortal Kombat 11’s roster is looking pretty solid (Scorpion, Raiden, Sub-Zero, Sonya Blade, Skarlet, Baraka, Kano, Kabal, D’Vorah and new character, Geras), but who else might be joining the battle? Well, we may have an idea thanks to a partial list of PC achievements that have popped up on SteamDB. Most interestingly, the list features a series of achievements for pulling off two Fatalities with each of the game’s fighters – each Kombatant is only listed by a three-letter code, but it’s still pretty easy to guess who most of them are. Check out the list of codes, below. Of course, take this all with a grain of salt for now. Also, again, this would seem to be an incomplete list – the Mortal Kombat 11 character select screen we’ve seen had 24 slots, and some confirmed characters, like Geras, aren’t included on this list. All that said, if this is the real deal, it seems like Mortal Kombat 11 will be lifting fairly liberally from Mortal Kombat X’s roster, with characters like Cassie, Jacqui, and Erron Black making their returns. It’s will also be interesting to see who CET, KOL, and TER are. New characters? Guest characters? Some folks are speculating that TER may be the Terminator, who would certainly be a good fit for the Mortal Kombat universe. Of course, that’s not even remotely close to confirmed, so don’t get too excited yet.